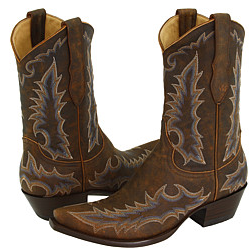 I’m giving you a heads up on this awesome deal on Old Gringo Boots because I have a feeling these will go fast at this price. 6pm is having them on sale tomorrow (Wed) for only $119.95. If you are not familiar with Old Gringo, they are the leading manufacurer in western footwear and they can run as much as $600 – $700. So, although $119.95 is not a frugal purchase, this is an incredible savings. Here is the thing…they are saying it’s for select styles and they are not letting on which ones will be at that great price. My guess is it wouldn’t be the super expensive ones. The ones I have pictured above retail for $350 and are listed at $158, so there is a possibility that this could be one of them. So, check back tomorrow. They usually start the sale at 6 am (EST) but I have seen them start at 9 am or even at midnight. I hope you snag an awesome pair.